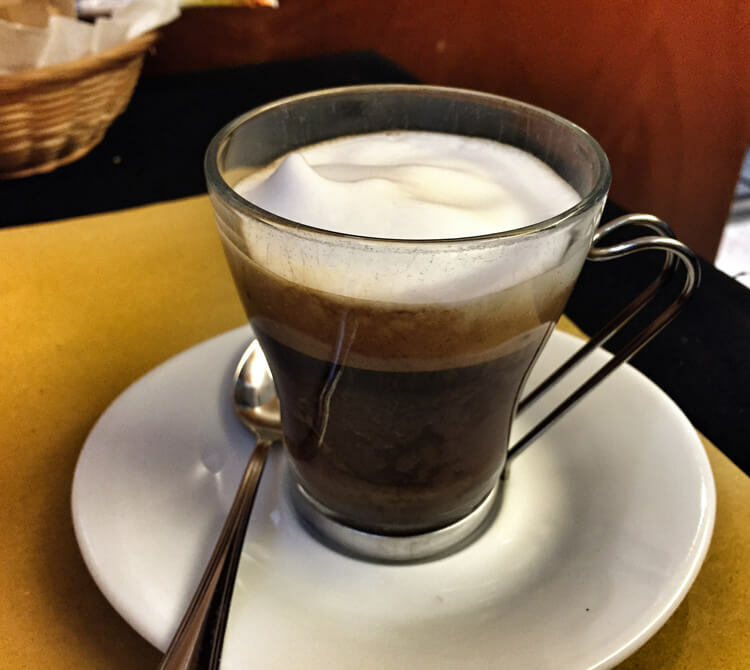 Ordering coffee in Italy isn’t as simple as queueing up at your local Starbucks. First, Italians are unfamiliar with the concept of a queue. And second, it is always cheaper (and the Italian way) to order your coffee at the bar and drink it standing up. There likely isn’t a menu of the coffee drinks available anywhere to be found and though Starbucks sounds very Italian (venti actually means the number twenty in Italian, not the size of a coffee), you won’t recognize many of the names of types of Italian coffees. So I drank a lot of coffee in order to put together this handy little guide for how to order coffee in Italy for you. Now you can feel confident about ordering coffee in Italy and not sounding like an idiot. 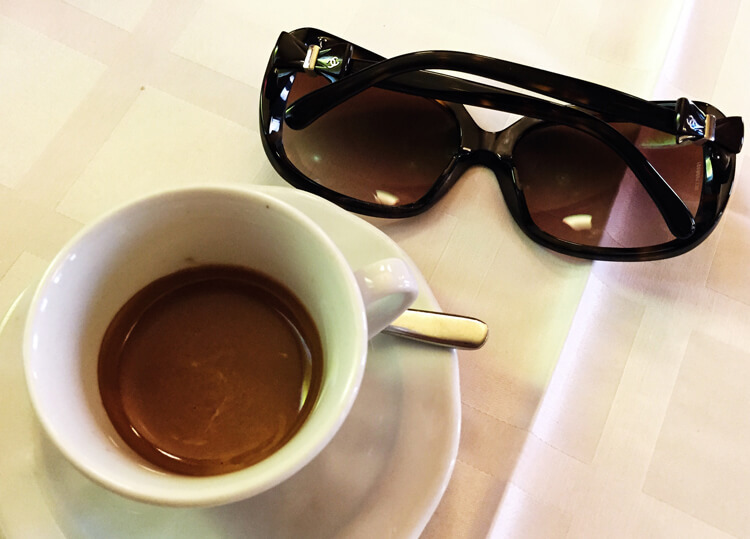 While caffè does literally translates to coffee, a caffè is also a shot of espresso. It is served in a tiny cup and drank all throughout the day. When ordering, you order un caffè and not un espresso. You can also order caffè corretto (pronounced kahf|FEH cohr|REHT|toh), which is a shot of espresso “corrected” with a shot of liquor. The most common additions are a shot of grappa, sambucca or cognac, but feel free to ask for the liquor of your choice. A shot of Irish cream added is always delicious. Cappuccino is probably Italy’s most famous coffee. After all, while there’s no such thing as a grande anything when it comes to types of Italian coffee, a cappuccino is a cappuccino the world over. It’s basically ⅓ espresso, ⅓ steamed milk and ⅓ foam. Italians eat and drink everything at certain times and in a certain order because of how it affects digestion. With all that foam and milk, Italians consider a cappuccino a meal itself and won’t drink one after 11am. 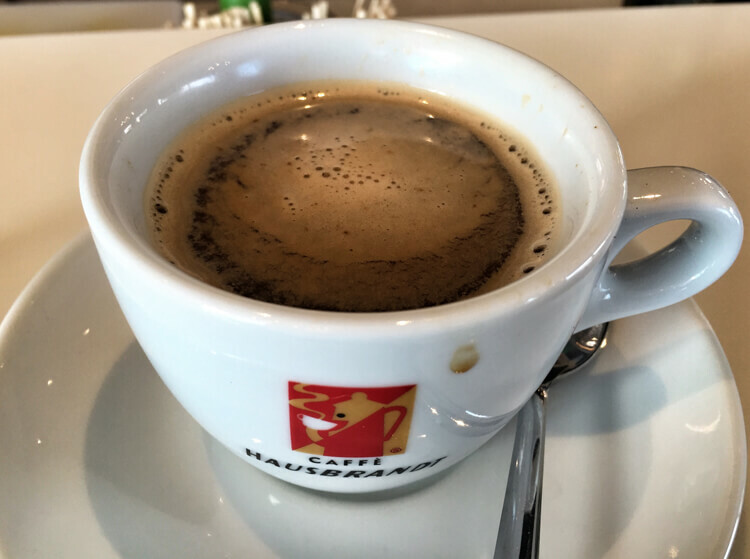 Despite the judging glares or being refused a cappuccino that you may have heard about, those are nothing more than rumors and you can enjoy a cappuccino in Italy any time you please. 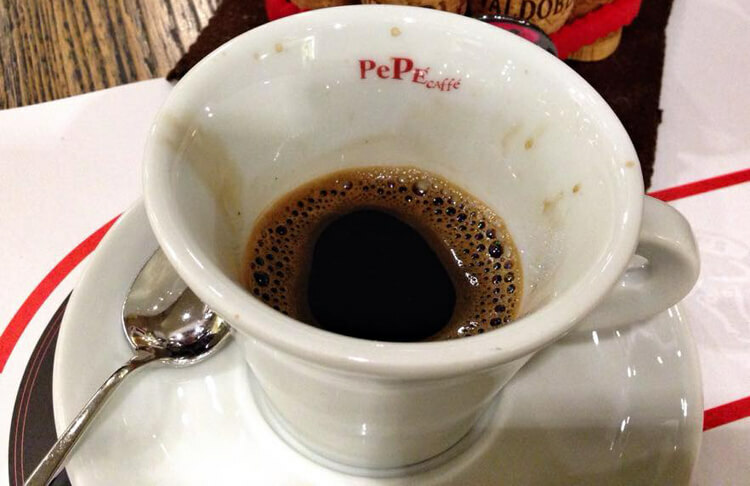 It’s one of my favorite types of Italian coffee and I’ve ordered it after lunch and dinner many times. A macchiato is like an espresso married a cappuccino and had a slightly foamy child. It’s an espresso with a drop or two of hot milk and served in the same little cup that an espresso comes in. Since it isn’t as milky and frothy as a cappuccino, Italians consider it perfectly acceptable to have any time of the day. Grazie mille to the genius in Alessandria that married cocoa and espresso together to invent the marocchino! It’s a shot of espresso, a layer of foam, and a sprinkle of cacao powder in a glass mug that has been dusted with cocoa powder. It’s slightly more milky than a macchiato. In Northern Italy, where we live, thick hot chocolate is mixed with the espresso and then the layer of foam is poured on top. 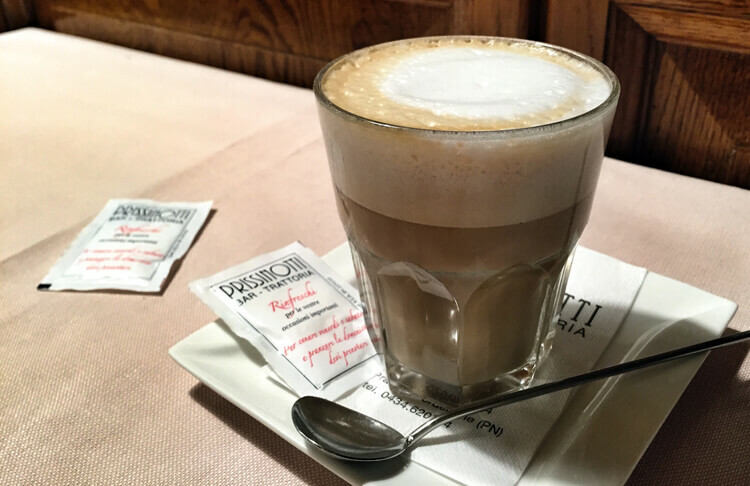 Order just a latte in Italy and you might be surprised to be served a tall glass of milk. What we in the US call a latte is a caffè latte in Italy. It’s ⅓ espresso, 2/3 heated milk, and a little foam. Because of how milky this type of Italian coffee is, Italians would also only have this before 11am much like a cappuccino. The shakerato is Italy’s answer to the Starbucks iced coffee and on a hot day (basically all of July and August when I hole up in my air conditioned house because it’s just too unbearable to go out in that humidity), there is nothing as tasty as a shakerato. Well, technically the most refreshing Italian beverage on a hot day is a spritz Aperol, but the shakerato is perfectly acceptable to drink before 11am. It’s chilled espresso poured over ice and shaken to a froth. My hot beverage of choice in the US is a chai tea latte, which are impossible to find in Italy. But a caffè al ginseng comes close with its nutty flavor and is a wonderful alternative if you crave chai tea lattes like I do. It’s espresso prepared with ginseng extract and needs no other sweetener. Ginseng naturally increases energy and is said to make you alert. It also helps with digestion, making caffè al ginseng another perfectly acceptable after lunch or dinner coffee drink. Caffè d’orzo is a barley coffee and is 100% naturally caffeine-free. This is a great alternative late at night or if you have issues with caffeine. 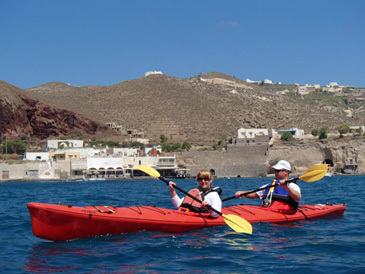 It’s also great if you have kids that like to be part of the grown-up group. I like to order mine con scorza di d’arancia, which is with a slice of orange. The citrus adds a nice flavor to it. This article contains affiliate links. When you shop on Amazon through our affiliate site, we earn a small commission at no additional cost to you. 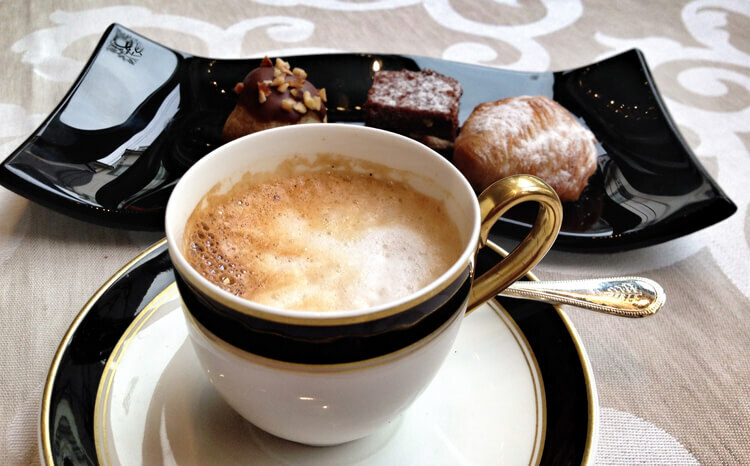 We live in Italy, Paolo, and caffe corretto is served everywhere we know of. Reading all of this is making me thirsty for coffee. Of the ones you listed, I really like Macchiato. The best part about that one is that you really can have it at any time of day! Perhaps I’ll go out in a bit and get one! The best and satisfying one is the strong and bitter:Caffe’Espresso and Stretto.You’ll not need a second one all-day-long. Great list, however I could add a few more, such as: ristretto, Americano, and the lungo versions: caffe lungo, lungo macchiato (which is my preference in the afternoons :)) Ive also heard sometimes people ordering caffe al vetro (coffee in glass not a cup) and also cappuccino or caffe ben caldo (coffee with real hot milk). 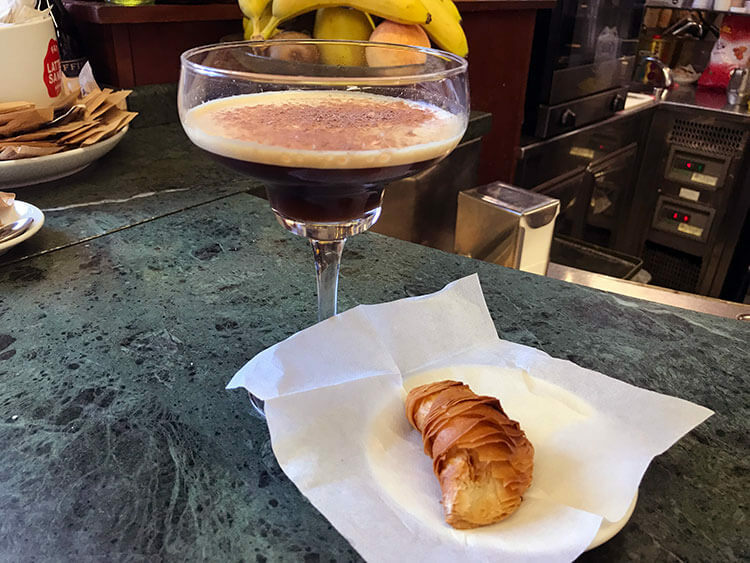 You may be interested to know that one of the favoured morning coffees in Rome, at least among the construction workers was “cafe corretto” or “corrected coffee” which was an espresso with a shot of Sambuca or other high-octane fuel. 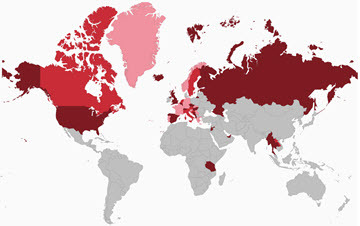 I thought I knew most of the Italian coffee types to order, but after reading your article I now realize that I only know the most popular ones ie. the ones you can most commonly order in coffee shops outside of Italy. Thank you for the comprehensive list. There are a couple you mentioned that I will try next time I am in Rome. Hopefully, that will be very soon. 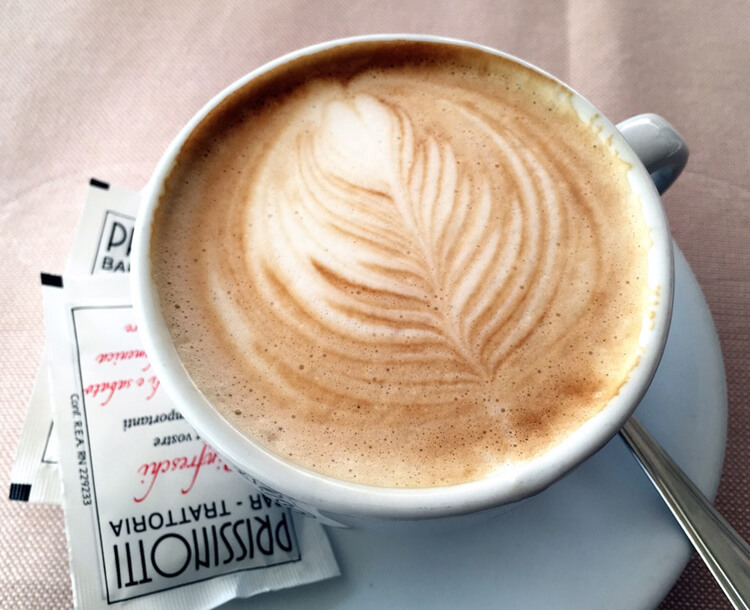 One thing that would be helpful is if you could put the key points in to a table that travelers to Italy could put in their wallet or backpack and pull out when it is coffee time….after 11 am, don’t order a latte….oops, caffe latte. Oh my goodness, I’m such a sucker for a coffee blog post,thanks for sharing these different types of coffee, I loved this! What a great list and interesting, some I have not heard of before. Visiting Verona and Florence next week so will be trying some new ones.